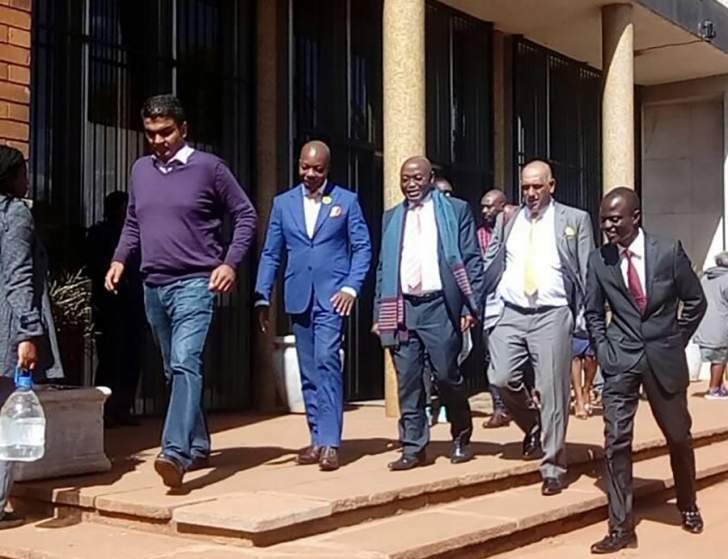 FORMER ZBC presenter Oscar Pambuka and ex-Zanu-PF legislator Psychology Maziwisa will appeal their Court their conviction and sentence for defrauding the Zimbabwe Power Company (ZPC). According to New Zimbabwe.com, defence lawyer Jonathan Samkange told Harare magistrate Lazini Ncube Thursday that his clients would seek "bail pending appeal at the High Court". "I believe there are prospects of success on both counts," Samkange said after his clients were sentenced. The two were jailed for fleecing ZPC of about $12,000, while pretending to be carrying out public relations work through ZBC on behalf of the power utility. Court heard that, Maziwisa and Pambuka would bill ZPC each time news broadcasts on ZBC's platforms referenced the power utility, claiming they were responsible for the publicity. Court heard that the two managed to defraud ZPC by hiding behind ex-Energy minister Samuel Undenge's name. Undenge was convicted over the same case and sentenced to four years imprisonment. He is currently out of custody on bail pending appeal.